Modern living and our changing lifestyles have led to a shift from cooking at home to eating out. According to the Singapore Food Forward 2014 report, 61% of respondents say they ate out more frequently in the past year as compared to the two years before. There are nearly a third (30%) saying they eat out three or more times a week. Let’s take a look at Malaysia: the Malaysian Food Barometer 2014 confirms that more than 64% of individuals have at least one meal a day outside of home. Healthy eating can be challenging when eating out if there are limited healthy food choices available at the food outlets. Singapore and Malaysia are both facing an increasing prevalence of obesity. 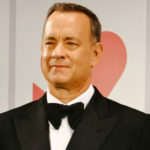 Nonetheless, the often over-portioned food served and extensive use of unhealthy oils and sugar, isn’t helping the situation. Cost saving: The average money spent per person for a meal eating out is approximately the food cost for two meals eating at home. 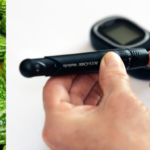 You have control over the ingredients, portion and cooking methods, making healthy eating more feasible. Cooking at home is not as difficult as most people think. It does not require the skills of a gourmet chef to prepare a decent meal. Here are some tips to make cooking at home easy and quick! During the weekends, do an inventory check of what you have in the fridge and plan your meals for next week. Running out of ideas? Check out our dietitian-approved recipes for your source of inspiration as you widen your scope of cooking. 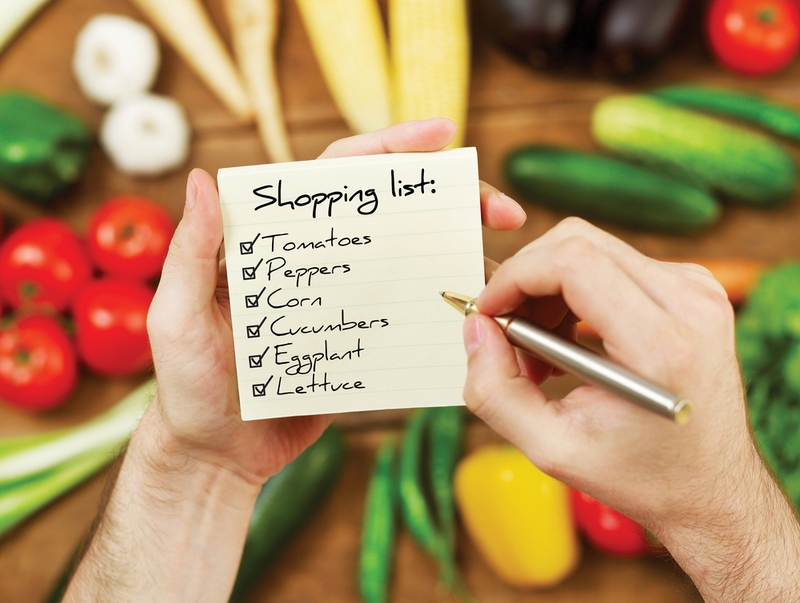 List out the ingredients needed by creating a “shopping list” for your next visit to the grocery. This helps you to have an efficient shopping experience in getting what you need and prevents time lost in roaming through the aisles. Most importantly, the likelihood of you missing out an ingredient or buying unnecessary things is lesser as well. Imagine you have to make another trip to the grocers just because you run out of garlic. 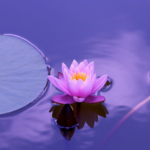 Mise En Place is a French term which means “to put in place”. This simply means to have all your ingredients measured, cut, peeled, sliced, grated, etc. before you start cooking. Having all ingredients prepped and arranged ahead of time is a real time saver during cooking. This lessens the time required for home cooking. You can also get help from the supermarket staff, to cut the chicken, meat or fish into ready to cook portions or even trim the fat. Cleaning and portioning of the ingredients are encouraged as soon as when the ingredients are brought home. Wash the vegetables, but make sure you just cut up the raw meats (don’t wash them, as it can contaminate your kitchen surfaces). Keep your prepared ingredients in an airtight container or re-sealable bags and stored properly in the fridge to ease future meal preparation times. This is especially helpful with things like onions and garlic, which are much easier prepared in bulk. When it comes to cooking, all you need to do is take the required portioned ingredients out from the fridge and start cooking right away. Not enough time, being too busy or feeling too tired have always been some of the obstacles to cooking at home. 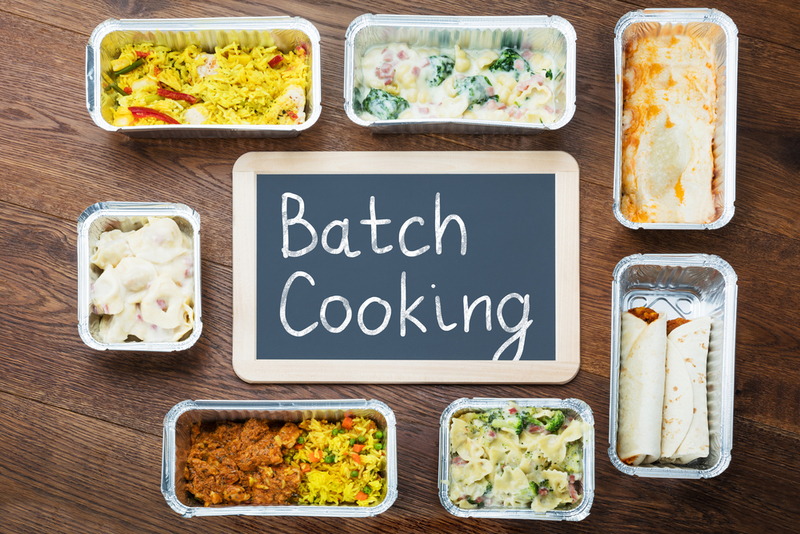 Freezing large batches of home cooked foods helps to make healthy eating convenient for any time throughout the week. Some of the recipes that can be cooked in batches include soup-based foods, stew, curry, fried noodles/rice and even spaghetti sauce. Cooking multiple batches at a time allows the extra to be stored and frozen for future use on a busy week. After a few recipes, you will have a whole week’s meals ready to thaw and heat for the day when you do not have time to cook. 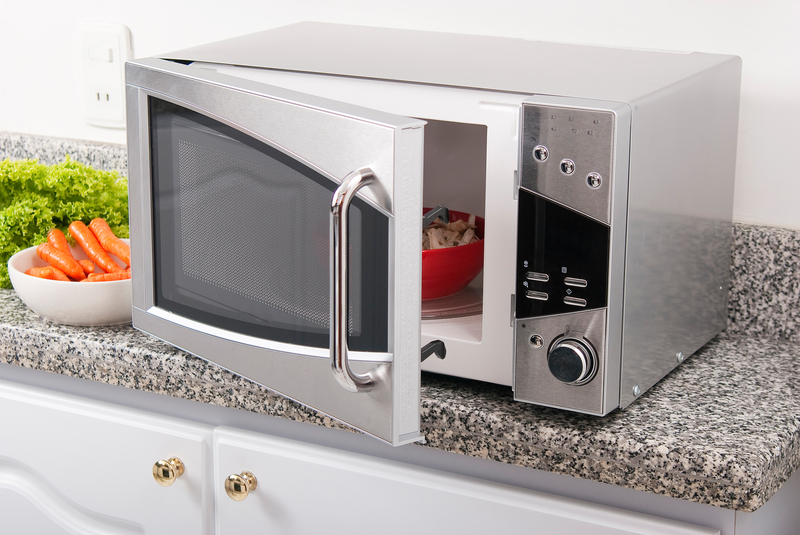 Unlike traditional cooking, microwave ovens take a shorter time to cook. 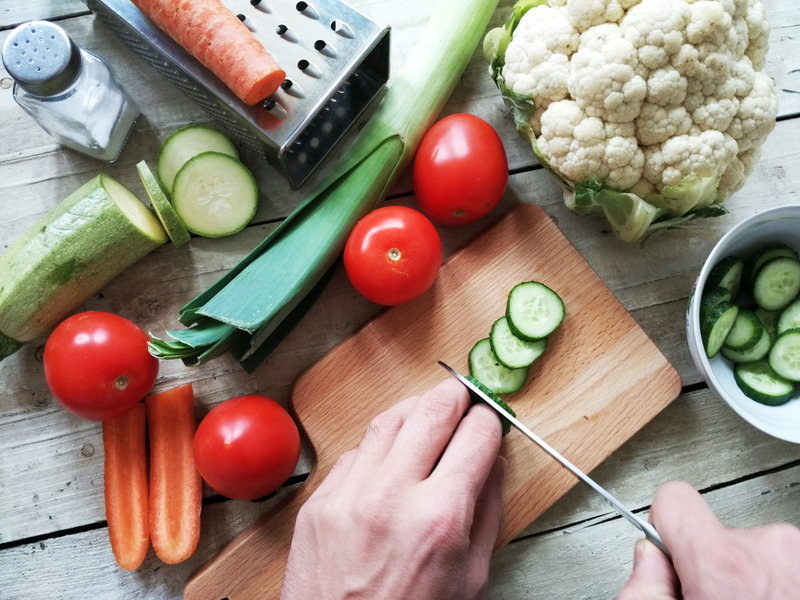 The cooking method that preserves nutrients best is one that cooks fast, heats food in the shortest amount of time, and uses as little liquid as possible. Microwaving meets those criteria. Microwave cooking does not require much supervision; you will be relaxed while cooking with a microwave oven. Place in the food, set the time and you are free to make your salad or clean up. The microwave oven is also very easy to clean, what you need is just a damp cloth, wipe the insides of the oven and you are done. Remember to use microwave-safe glass, ceramic or plastic cooking vessels that are labelled “microwave safe” on the bottom. Never put metal, Styrofoam or plastic deli containers in the microwave. Who does not want to come home to a pot of warm and hearty stew after a long day at work without having to spend time preparing it? All it takes is a little bit of extra effort in getting up earlier in the morning or spending some time the day before to put in a mixture of protein, root vegetables, beans and so forth and there you have it! The idea is to have dinner put in a slow cooker in the morning, before leaving for work, and having it ready for you when you get back home in the late afternoon. 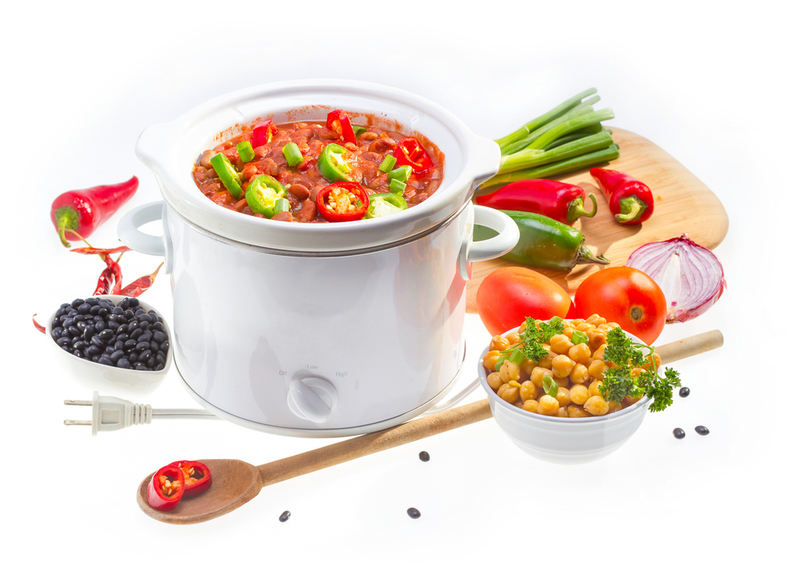 Some slow cooker recipes are like stews, curries, soups etc. Remember to only add in vegetables 15 to 30 minutes before serving, as long hours of cooking will destroy most of the heat-sensitive vitamins and antioxidants. But there’s no need to eat it raw. Certain vegetables like tomatoes and carrots contain lycopene and beta carotene (respectively) which can actually become more potent with moderate heat for up to 30 minutes. 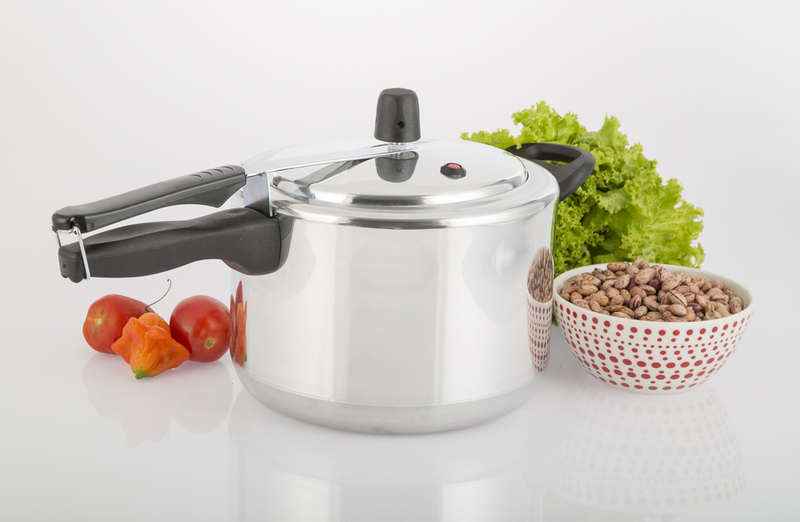 Pressure cooking is also one of the methods to prepare quick and hearty meals. This method is slow cooking done faster where water and steam under high pressure helps to reduce cooking times by up to 70%. Vegetables remain crisp, colourful and most importantly retains a good texture, flavour, and mouthfeel. Meats will stay juicy and moist as well. Leftovers thrown away equate to food wastage and also money loss. A dish that could be easily prepared with leftovers is like fried rice or noodles by adding in leftovers from last night’s dinner. Use leftover chicken to prepare chicken salad, sandwiches and other easy, fast weeknight meals. Plus, you can also use the meats and bones to make soup or porridge. 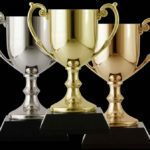 It is a great way to ensure to help the environment while helping us to eat more healthy, save money and time. Cooking at home also requires us to have some basic knowledge of food safety. This is to prevent food poisoning or contamination. Always wash your hands with soap for 20 seconds (length of a birthday song) before and after handling food. It is important to keep raw meat, poultry and fish away from cooked food to prevent cross contamination. This can be done by keeping them in the separate compartment in the fridge. 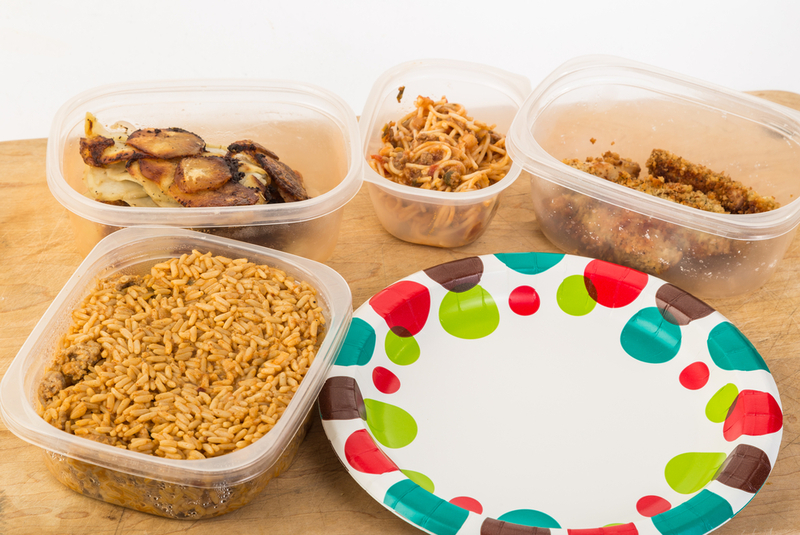 Wrapping leftovers in the airtight container helps to keep bacteria out and retain moisture. Cooked food must be refrigerated within 2 hours after cooking or when heat is removed. 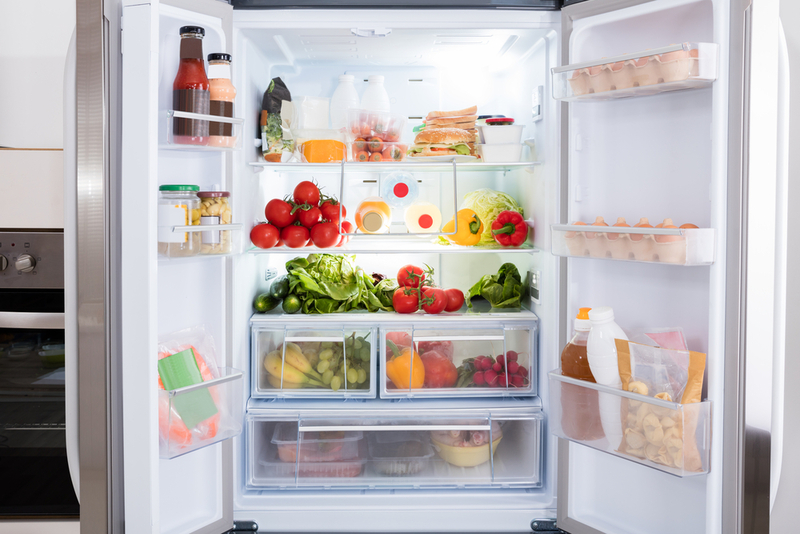 Leftovers can be kept in the refrigerator for 3 to 4 days or frozen for 1 to 6 months. Check this out for the storage time of different foods in the refrigerator and freezer. Reheating leftovers should reach a temperature higher than 74°C. It would be good to keep a food thermometer in the kitchen. Reheat liquid like sauces, soups and gravies by bringing them to a rolling boil. Cover leftovers to reheat as this retains moisture and ensures that food will heat all the way through. I hope this guide helps to light up the fire in you and also the stove in your kitchen of course! Start cooking at home for yourself and your loved ones today! Previous Previous post: Tofu Chocolate Mousse: A Mousse Try Dessert!